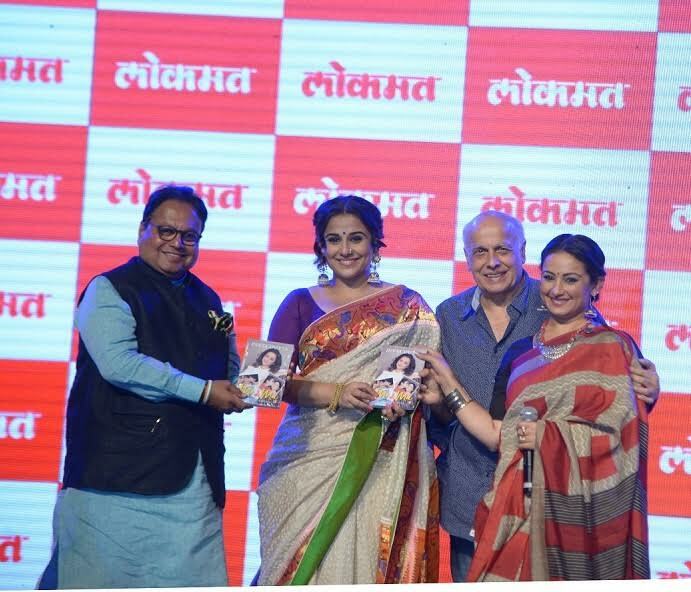 Pune: To recognize the efforts and contribution made by women in their respective fields, Lokmat, Maharashtra’s and Goa’s Number 1 newspaper celebrated womanhood through its 6th edition of Women’s Summit 2017. In association with UN women and UNICEF, the women’s summit called ‘ASTITVA’ (Through Her Eyes) the ultimate expression of the womanhood witnessed women achievers from different walks of life who shared their experiences, views and opinions on various topics. Actress Vidya Balan, Film Maker Divya Dutta and Olympics Wrestler Geeta Phogat shared a panel to discuss on women empowerment. Other Eminent personalities like Mayor of Pune, Mukta Tilak, UN Women’s Representative for India, Dr. Rebecca Tavares, Social worker Preeti Patkar, Journalist Neerja Choudhary, , Head Programmes Officer at UNICEF Henriette Ahrens, Chairperson of USK Foundation, Dr. Usha Kakade, Deputy Principal Officer US Embassy and Consulates, CEO and Design Head at VU Technologies Devita Saral and Chairman of Lokmat Media Vijay Darda, were present for the event. There were three categories of awards, Veena Devi Jeevan Gaurav Puraskar, Jyotsna Devi Karya Gaurav Puraskar and Lokmat Sakhi Sanman Puraskar which were given away to women in different categories like Social, bravery, health, education, art& literature and business. The summit was a platform to know a women’s perspective, her views and opinions and to felicitate the achievers. Her book reveals her life and her connect with her mother speaking about how she has been a strong pillar of support for Divya’s success.